The EASIEST oil change you will ever do!!!!! Simply install this valve and drain your engine oil without the need for any tools and without creating a mess. 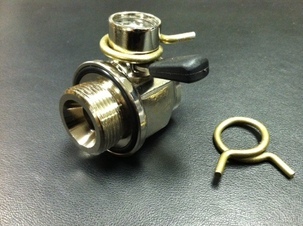 Lift the lever of this nickel plated brass ball valve and give it a quarter turn to open. To close return the level to its original position. 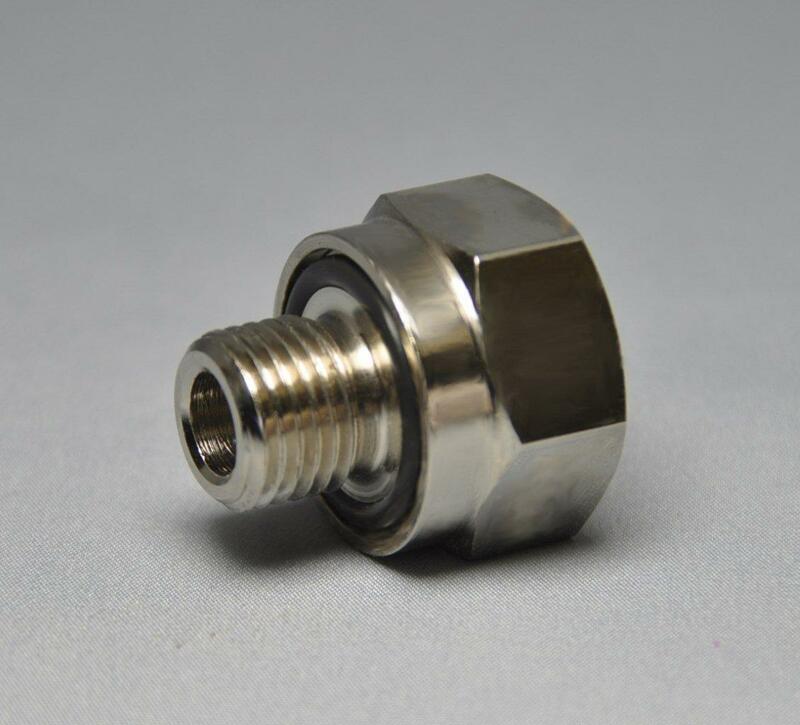 The EZ Oil Drain Valve is constructed of corrosion resistant forged brass, stainless steel, and nickel plated for additional protection from the elements. 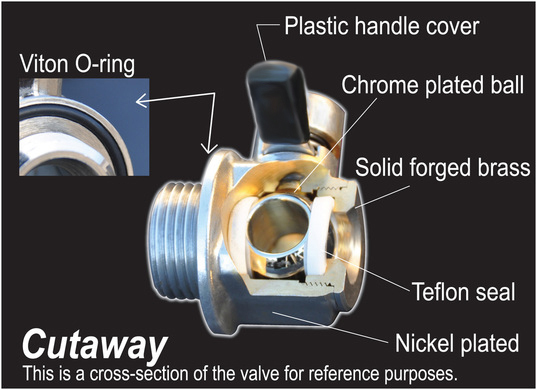 The ball valve design allows a straight flow for fast drainage and a flawless seal when locked closed, double sealed for guaranteed leak proof operation. An easy solution for frozen drain plugs and stripped threads. Convenient to draw oil analysis samples, as and engine can be left running , for accurate oil analysis results. 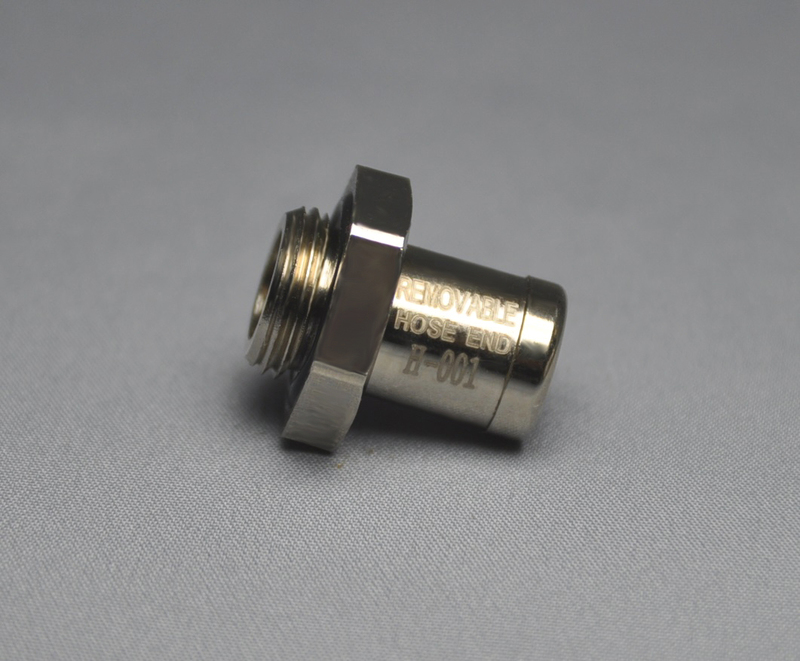 EZ Oil Drain Valve can be configured with optional removable Hose Ends that can either be left on or be removed when not needed. Vehicles with low clearance will benefit from this new feature as the Hose End can be attached only when draining oil with a hose, and be removed eliminating any road clearance concerns while driving. For very tight areas, an L-shaped Hose End can be used to prevent the hose from kinking. Applications for all cars, light trucks, cans, heavy duty trucks, buses, RV's, motorcycles, generators, marine engines, farm tractors, agricultural machinery, and industrial equipment. Remove drain plug and drain oil. Hand install the valve until tight, and fully tighten with a small wrench. NEVER over tighten, follow torque specification chart. Close the lever and refill with engine oil. When its time for and oil change, its simple. Lift up lever and turn counter-clockwise. Turn lever back to the closed position when oil is drained. Insure lever is secured and in the locked position. 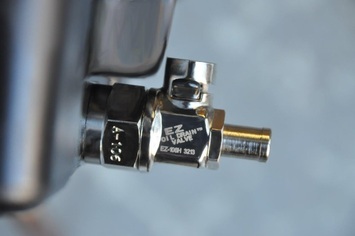 The EZ Oil Drain Valve is sold without the hose ends. 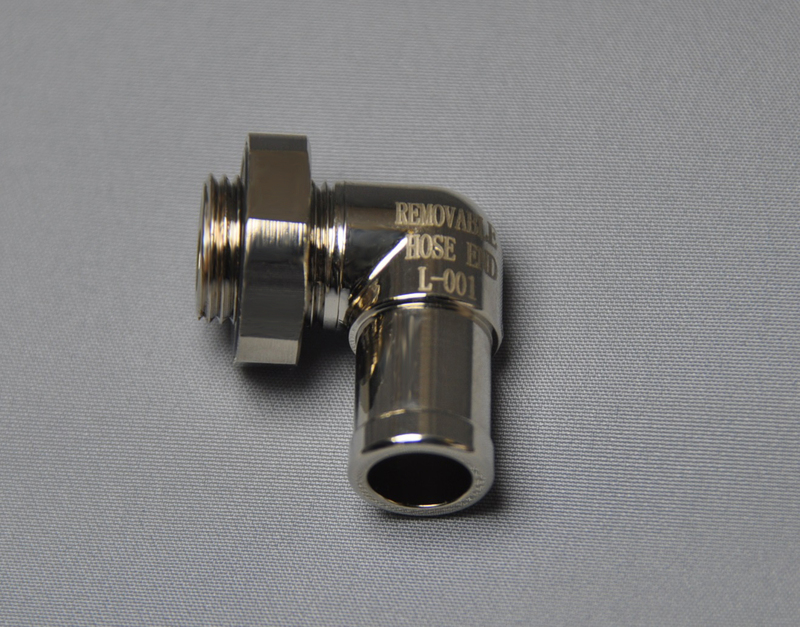 Optional hose ends may be screwed into the valve depending on the application and the user's preference. The optional hose ends shown below, Straight and L-Shaped. Optional plug coming soon. Simply screw in the Hose End to the body to hook up a hose for draining the oil away from the engine. Hose End may be removed between oil drains if desired. Where there is a limited space to install a hose, as with a stationary engines, the L-shaped hose end can be used to prevent hose kinking. ATTENTION!! For users that would like a little added security under extreme conditions such as, off-road vehicles, agricultural tractors, and logging equipment (i.e. corn fields, brush areas), recommend that a hose clip as shown be applied for additional safety and security and will keep the lever closed in the locked position at all times. These clips are available in our online store can be purchased at most hardware stores. Use 5/8" for the 100 Series valves and a 11/16" for the larger 200 Series valves.